B201. 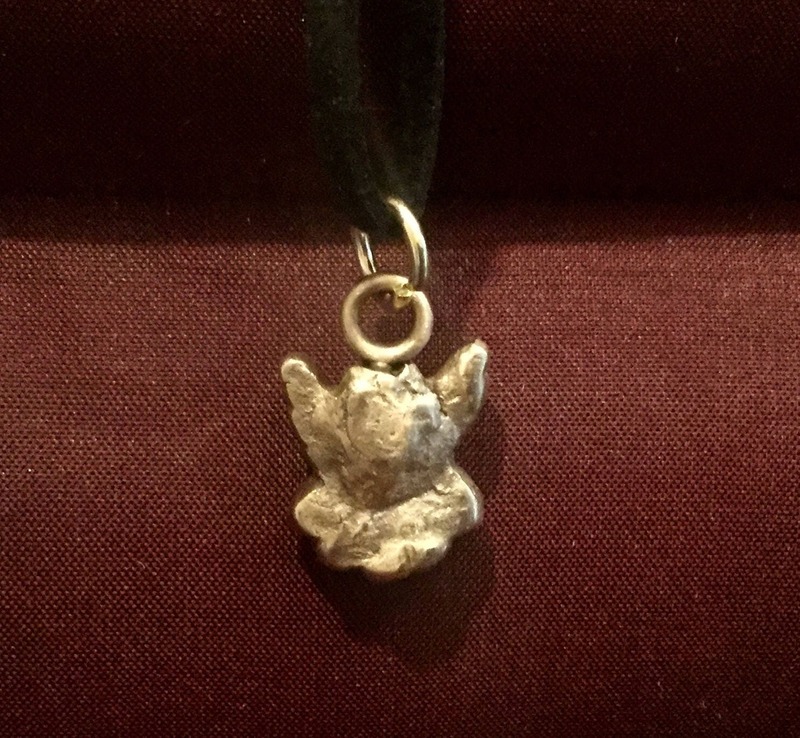 Handmade bronze little angel, so cute and delicate. 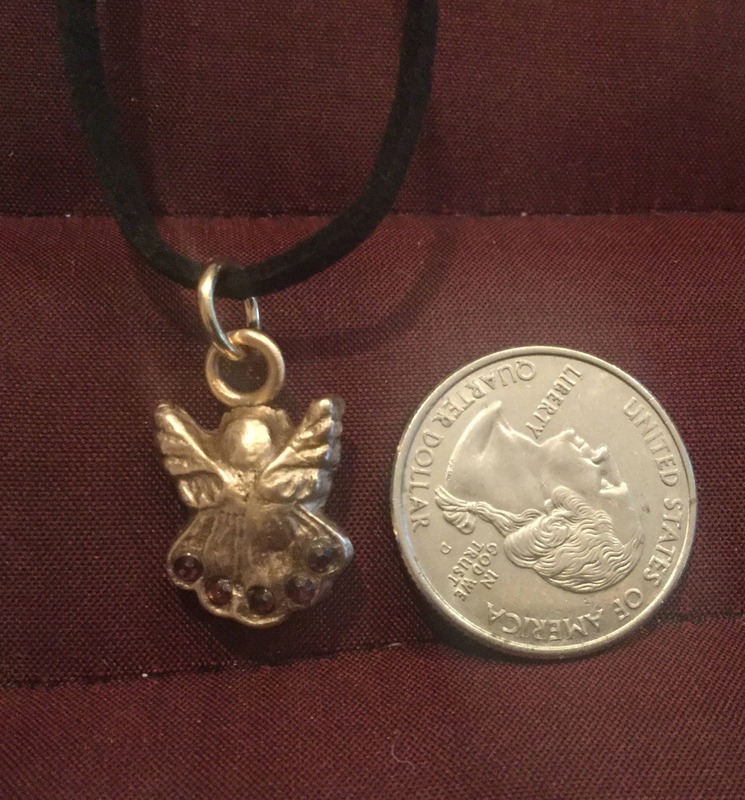 Tiny angel is made for an adult or teen. 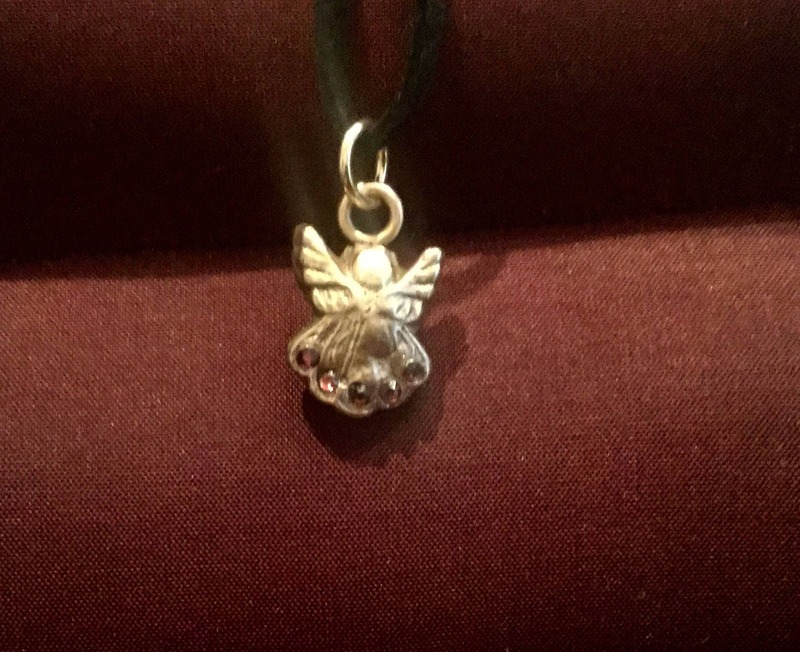 Great gift for a teen, or woman. 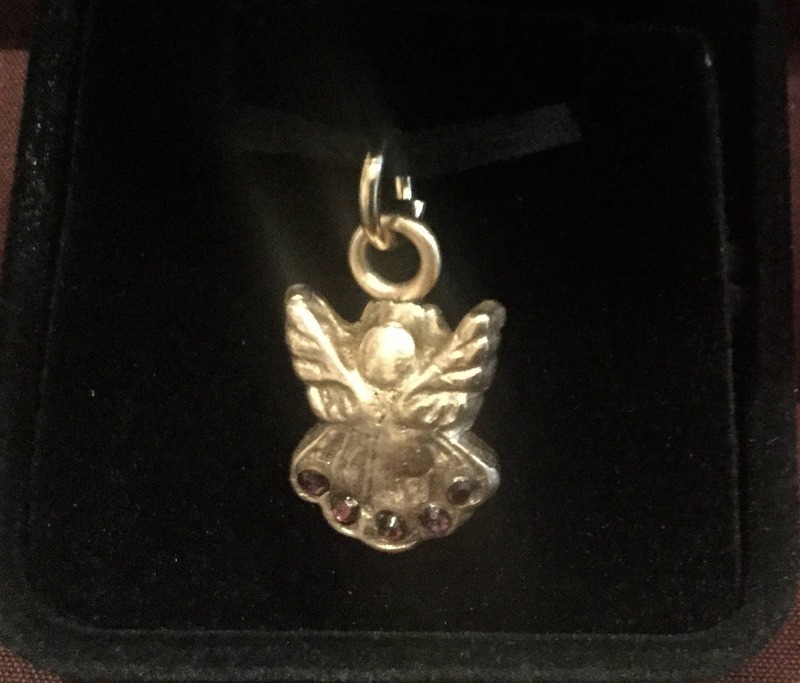 Angels are often given as a symbol of love and a wish for the happiness and protection of the recipient. 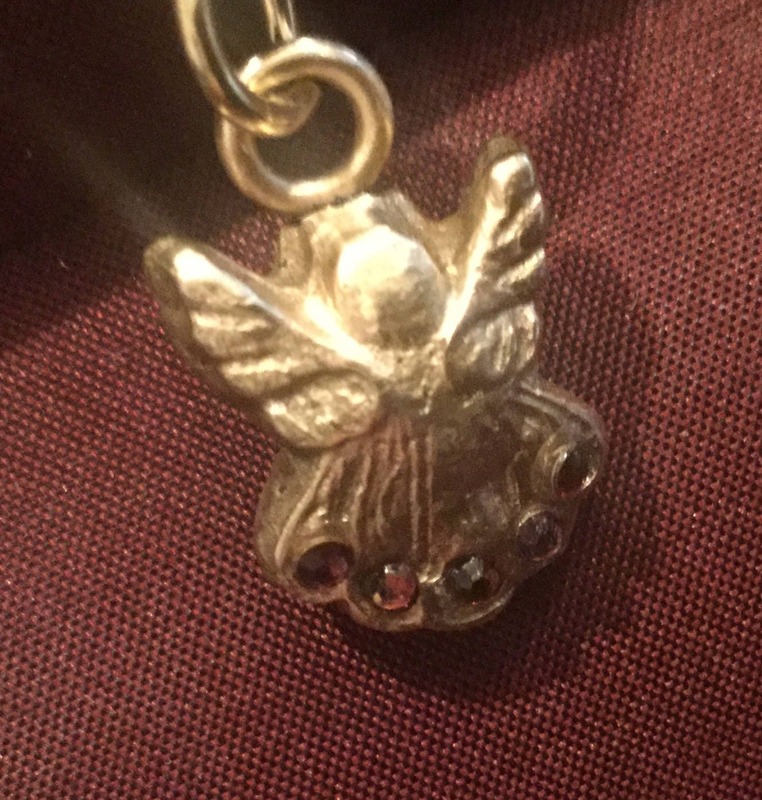 This happy little angel is ideal for a young person. Right now the black suede cord is 18" - adult length. If a young person is the intended recipient, be sure to tell me and I'll switch out the necklace to a 14" silk cord that is child size. 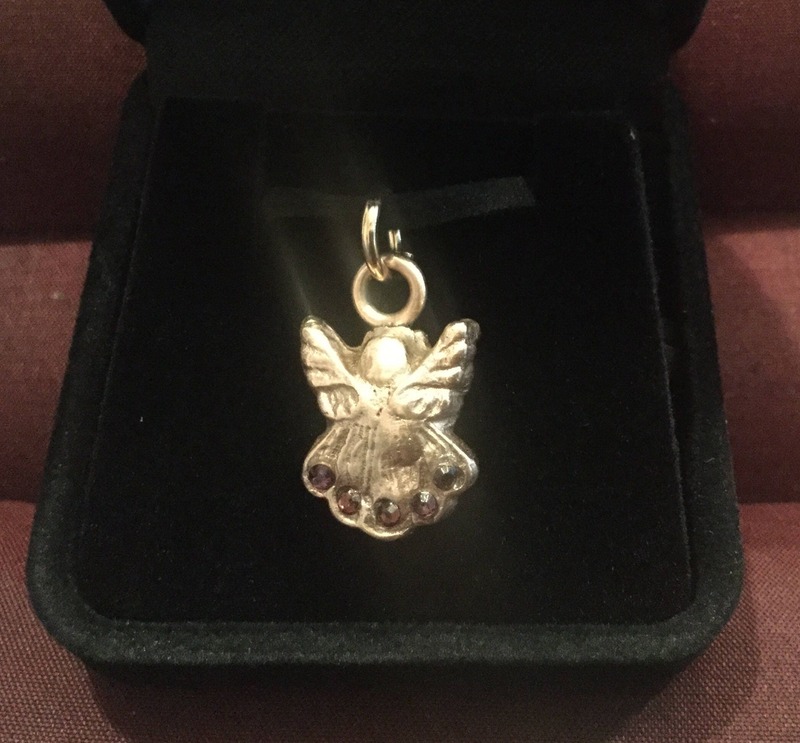 This little angel is also a great gift for a son or daughter to give their mom. 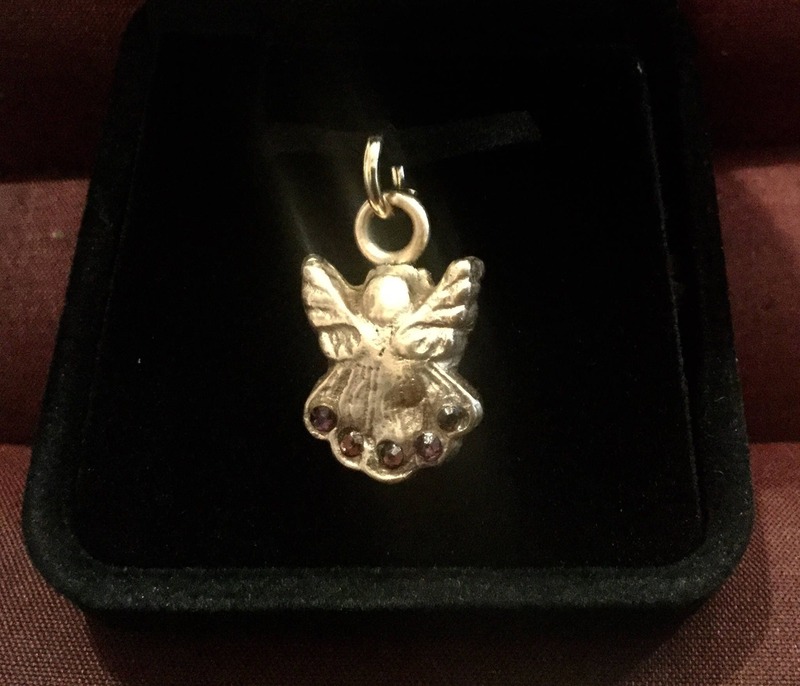 The angel is crafted from a brilliant bronze - golden in colorand has 5 smokey Rose amethysts that are Swarovski Crystals. 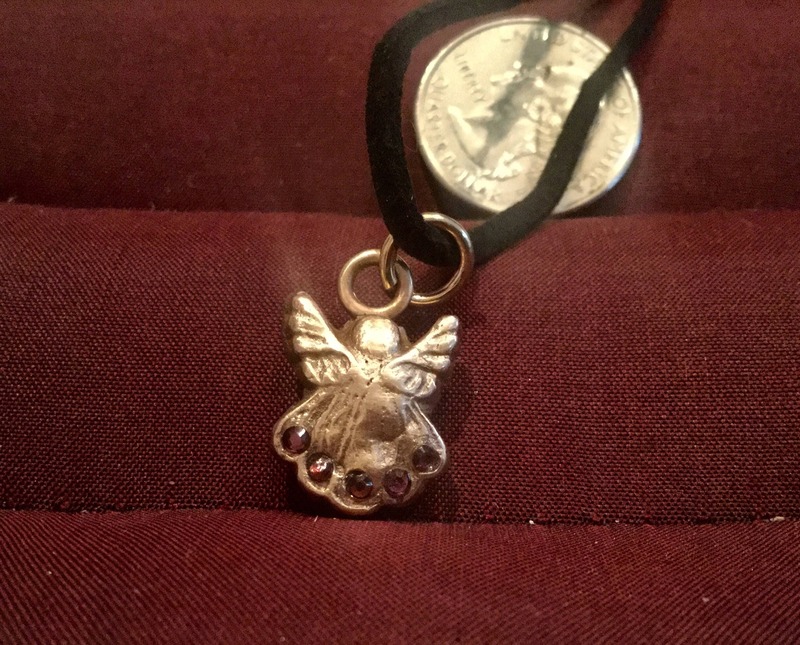 It’s been treated with a sealant so it should not tarnish through many years of use. 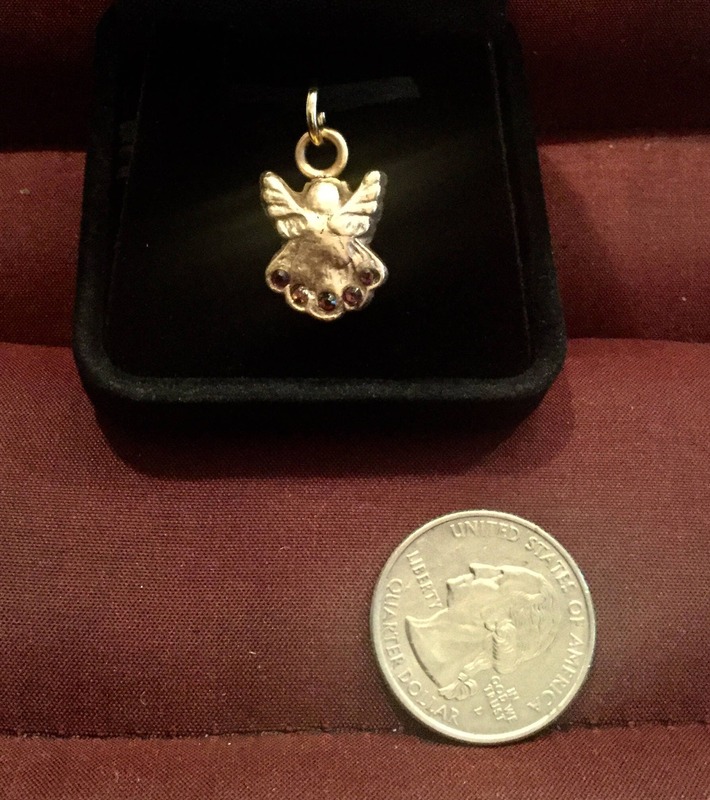 Little angel comes in a black velvet jewelry gift box.